It’s not easily disturbed. REG+, new from BUSE. Unlike conventional gas cylinders, the Regulator+ is a real stand-up unit. Due to its smaller stature, it has a slightly lower center of gravity. It’s no pushover. The pressure reducer is integrated into the sturdy protective cap and is thereby protected on all sides. With it, the outlet pressure can be precisely regulated and perfectly controlled at all times. A valve on the quick connector also prevents unwanted gas leakage. In this way, the REG+ provides you with even more security. Make changes on the fly when time is short. The integrated quick connector of the REG+ makes it so easy to replace cylinders even in tense situations. Since the REG+ requires no wrenches, the exchange is made in the twinkling of an eye. Allowing you to concentrate on the essentials. Smaller cylinders, easier handling, same great performance. Time is valuable. That is why we attach great importance to the quick access of equipment. Furthermore, repair and replacement costs are minimized thanks to the integrated pressure reducer in the protective cap of the REG+. This allows for the more precise control of gas consumption and can even help reduce it. 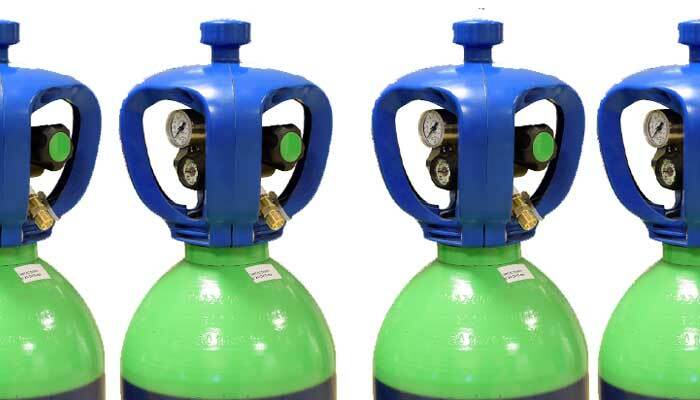 This also means that protective gas mixtures, argon, or oxygen can all be used in one cylinder type. Versatility has a new name. CO2 Summit Europe 2019Unprecedented engagement around the world.